The Pan American Health Organization (PAHO) promoted Vaccination Week in the Americas earlier this year with a campaign entitled “Vaccination: A Shared Responsibility.” Their philosophy – that each and every person has a part to play in fighting vaccine-preventable diseases – is best exemplified through their partnership with a new vaccine advocacy program called Vaccine Ambassadors. The concept of Vaccine Ambassadors revolves around a child receiving care from a doctor here in the United States. At the time of their visit, they’re offered the opportunity to become a Vaccine Ambassador, giving a small but meaningful monetary contribution to help fund vaccines for children in other countries. Jackie Kaufman, RN, MN, the co-founder and Executive Director of Vaccine Ambassadors, began the organization in hopes of making a profound impact on the lives of others, and providing an opportunity for others to do the same. Her extensive background in women’s health and adult medicine, coupled with her experience with the UNC Public Health School’s Global AIDS Project, took her to areas where she saw, first hand, the needless suffering of children. “I was shocked to discover that kids continue to die of diseases that many healthcare providers in the United States have never even seen, such as measles – something that has been preventable for decades.” Kaufman explains. She started to talk to other parents. Conversations on soccer fields, playgrounds and schools convinced her that parents, once aware of this inequity, shared her passion and commitment to do something. But what? Jackie began with a ‘doctor within borders’ concept, expanding on the idea that doctors could participate in a global health initiative without leaving the walls of their practice. Reflecting on her belief that one of the greatest gifts one parent can give another is a healthy start at life for their child, the Vaccine Ambassador program is designed to be a convenient, affordable and tangible way for providers, parents and children in the U.S. to give the gift of life-saving vaccines to children in other countries. The initial pilot program consists of ten pediatric clinics in NC, with plans to expand nationally. The initial practitioners in the program enthusiastically support the program as a way to extend their advocacy beyond the limits of their practice. Additionally, providers consider the program as an opportunity to expand the current vaccine dialogue beyond vaccine safety. Highlighting the need for Vaccine Ambassadors helps physicians to emphasize the dangers of disease, while also reminding parents that preventable diseases still exist. The Pan American Health Organization began their official partnership with Vaccine Ambassadors in April, 2013 and the funds received through this program will help the PAHO’s efforts to provide routine vaccination needs in Haiti, a country with one of the highest infant mortality rates in the Region of the Americas. Through a bulk purchase mechanism called the PAHO Revolving Fund (RF) for Vaccine Procurement, countries purchase necessary vaccines at the lowest available prices and on credit if needed. 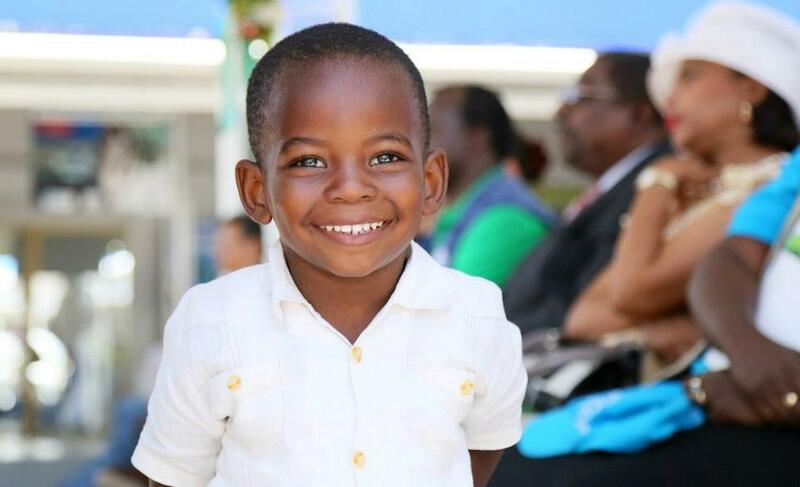 This program has been a driving force in the success of immunization programs across the Americas and the funds that Vaccine Ambassadors raise will go directly toward purchasing routine vaccines for Haiti’s children through this Revolving Fund. 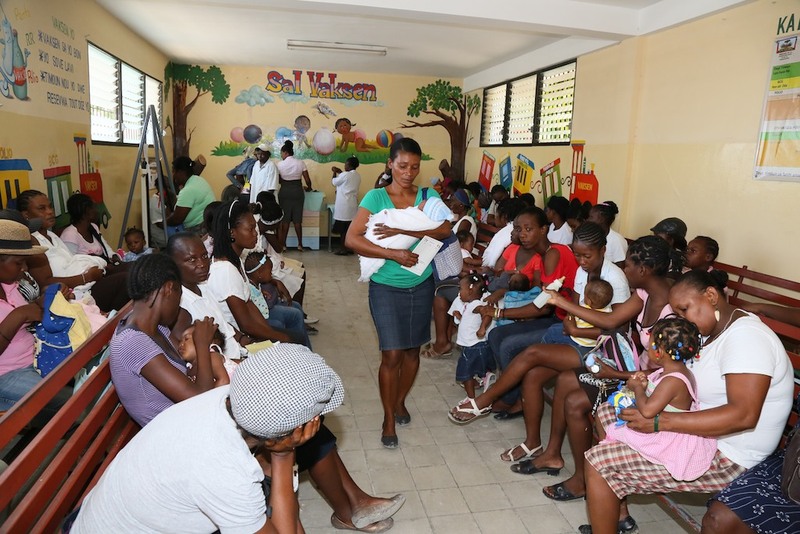 View this captivating photo story to see the powerful images of PAHO’s vaccination efforts in Haiti. To find out how you can support PAHO and Vaccine Ambassadors with their global vaccine initiatives, visit their websites and consider becoming a Vaccine Ambassadors today.